Push and pull are relatively new concepts in fly casting and are more a part of a fly caster's style than the essence or the technical fundaments like straight line paths or positive stops. 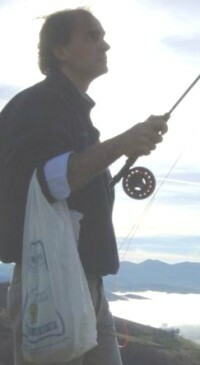 Nevertheless, in a relatively short period of time, many of us Sexyloops readers have changed over from avid pushers to wanting to only pull the rod. 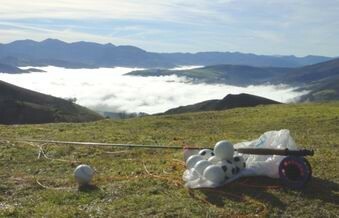 In spite of being aware that there are casts that require pushing, all of us members of the CNL (Spanish National Fly Casting Commission) are now pullers. We all share the opinion that the advantages of this technical aspect of fly casting are beyond doubt. Whoever tries once and learns to pull, no longer wants to do it any other way. It's a whole new sensation of control and mastery. 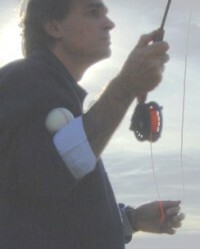 When you pull, your cast is mechanically much more efficient; your movements are much more subtle and controlled. 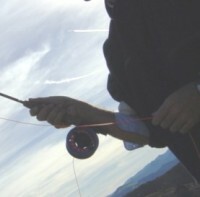 Moreover, pulling helps lessen the possibility of tailing loops, every fly caster's arch enemy. These are pretty convincing arguments. Basically, pulling entails raising and lowering your elbow; pushing is moving it horizontally. These two exercises have a single purpose, to get you to feel the sensation of pulling the rod as opposed to pushing it. Feeling this sensation is the first step in training your muscles and movements for quickly acquiring such an interesting technical advantage. 1 - Get yourself a little foam ball, the anti-stress kind. They're very cheap. Make sure it's very soft. 2 - Hold it between your biceps and your forearm, the inside of your elbow. Try to cast that way. If you drop the ball, it means you've pushed. 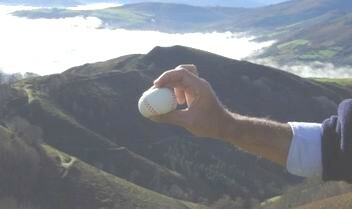 To cast that way without dropping the ball, you have to pull the rod. In other words, if you manage not to drop the ball without cheating, you'll have become an excellent puller, for a while anyway. Put something that weighs a bit into a bag with a grip and hang it on your elbow. Try to cast that way. Feel how the weight of the bag pulls your arm down. Cast until your arm starts tiring. That's when you'll be pulling the rod. If you think it isn't working, put more weight into the bag. Can you feel it now? Let me know how these exercises work for you and if you feel any kind of discomfort in your elbows or arms (too much weight or ball too hard probably).